Hi, I’m Jolene Olive, a marketing and design specialist from Winnipeg, Manitoba. I work with a wide range of small business owners to solve problems using lovely graphic designs and carefully written words. I work in digital and print mediums, creating custom designs and logos. I focus on understanding you, your business and your audience, then I work on crafting the perfect words and designs to meet your needs. When I'm not solving mysteries and fighting crime, I like to dance around my living room wearing butterfly wings with my two daughters and drink the occasional beer-verage while listening to Genius playlists with my hubby. I also sneak in a crafternoon whenever I possibly can. I love graphic design, but nothing beats sitting at the kitchen table with a hot glue gun (the only good gun-shaped invention) on one side of you and a paint brush on the other. The products of a few crafternoons! 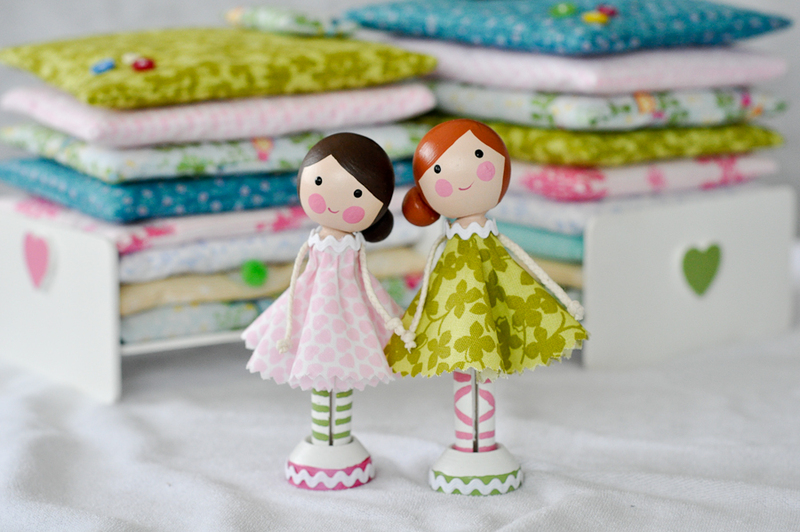 Princess and the Pea clothespeg doll play sets.